How many spelling words do you provide? The PLD word lists are flexible enough to be adapted to target any of the situations below. Keep in mind, that the exact number of WEEKLY spelling list words depends upon whether you are a junior, middle or upper primary class. It also depends whether you are in a school with higher performing students or lower performing students or students with a significant range in ability. It also depends on whether students are progressing well and acquiring and mastering the skills presented, or if students are requiring a slower place and ongoing revision and consolidation of skills. If you apply the links below, with reference to specific books, the templates should assist in deciding which approach is appropriate to your particular class. 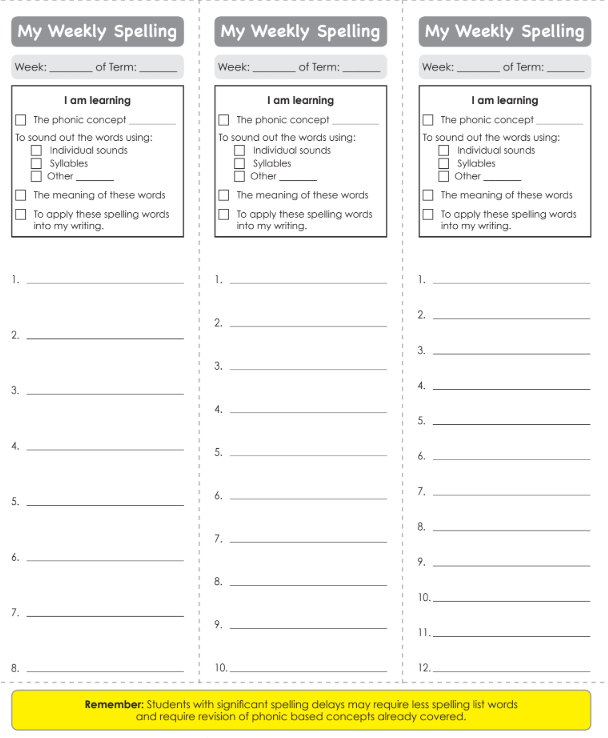 The following template is located on page pages 16 & 17 in the Phonic Sight Word Sequence. 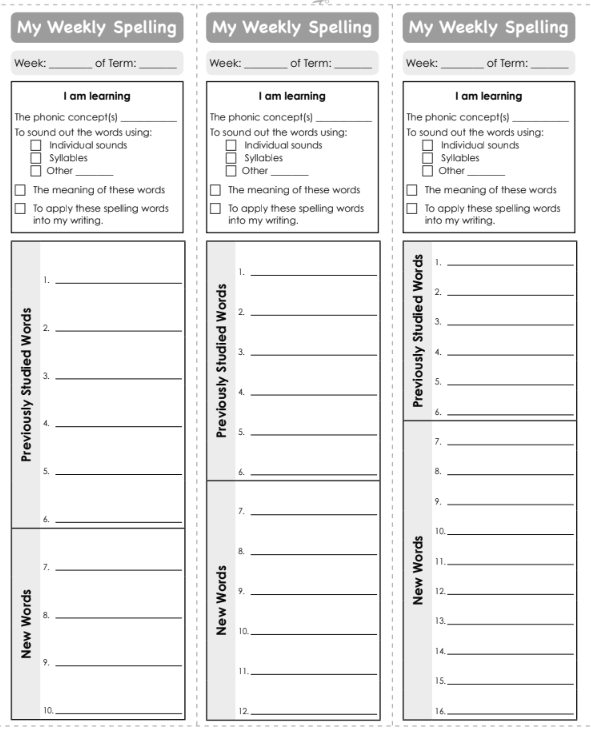 If you are working within the junior primary years, the PLD text Spelling Activities for the Junior Primary will provide you with useful templates on pages 7, 8 and 9. In a general sense, the weaker the students provide less words, the more able to students more words. 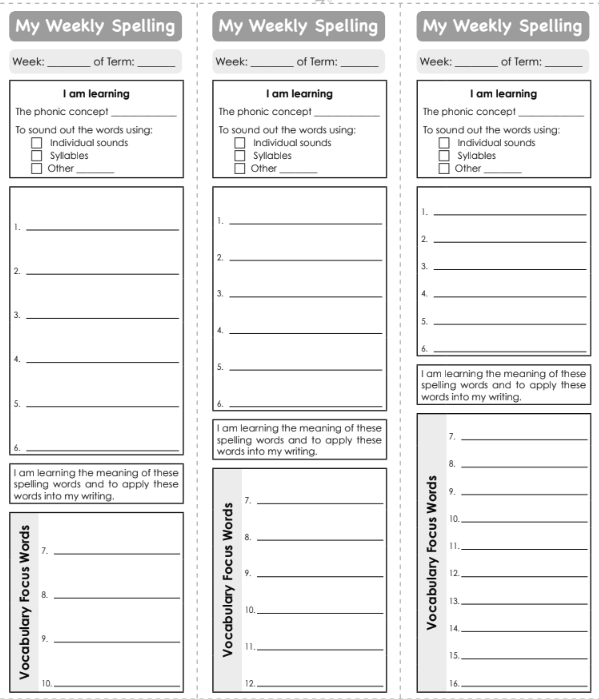 If you are working in a middle or upper primary class, the PLD text Spelling Activities for the Middle and Upper Primary will provide useful templates on pages 7, 8 and 9. The online courses also provide relevant information for junior primary or middle and upper primary classes. Please consider these short courses if you require more information on how to schedule the spelling lists. 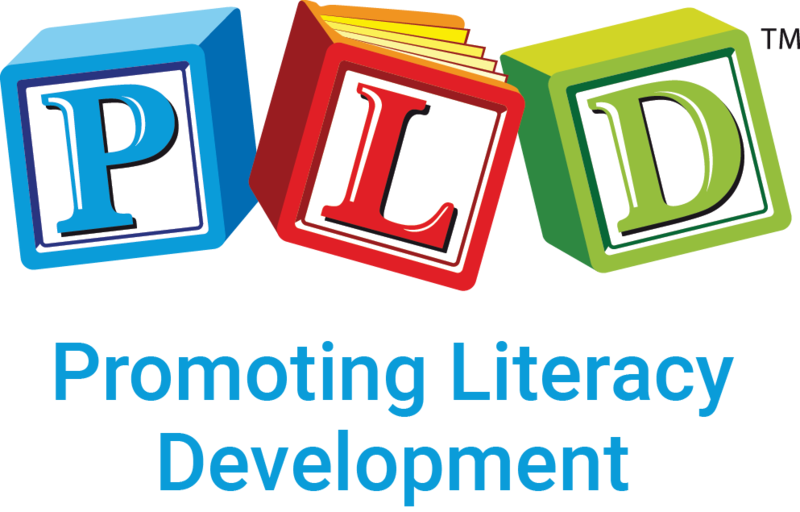 It may also be useful to download the PLD Whole School Literacy Strategy Booklet and also to register for our excel tracking sheets.